Real Deal Retirement » Blog Archive » How Much Investing Risk Should You Take In Retirement? How Much Investing Risk Should You Take In Retirement? My feeling is that once you retire you should take only as much investing risk as necessary to get the income you need from your portfolio, even if your risk tolerance would allow you to shoot for higher returns. I don’t see the point of investing for bigger gains at that point if you don’t need them. Do you think this approach makes sense? You raise an important question that all retirees should be thinking about as they’re setting their investing strategy in retirement. For most of our investing lives we’re told that we should invest in a way that matches risk and return, the implication being that you should try to achieve the highest returns possible given the level of risk you can tolerate. And when you’re trying to accumulate a nest egg large enough to support you in retirement, that approach makes sense. It’s tough for most people to regularly set aside enough savings from their salary to ensure a secure retirement. So earning the highest return we can on our savings without loading up so much on stocks that we’ll panic and sell during severe downturns is our best shot at accumulating the savings we’ll need to maintain our standard of living in retirement. Once we retire, however, the goal for most of us is no longer to grow our nest egg as much as we can. Rather, it’s to ensure that the savings we’ve accumulated will be able to provide us with income throughout a retirement that can last 30 or more years. So the question is: Should this shift in goals affect how we invest, and in particular how much risk we take? Generally I think the answer is yes. Once we reach retirement, we don’t have as much time to rebound from market setbacks. So for that reason alone, most of aren’t looking for a lot of excitement from our investment portfolios. We’re more interested in stability and predictability. We want to be able to enjoy life without having to worry whether a severe bear market might force us to revise our retirement plans. So the approach you suggest—not taking more risk than is necessary to earn the returns needed to get the income you require—is probably the right way to go for most people. Even if you may be able to handle a somewhat more aggressive investing strategy, why push it if you don’t have to? This is why I’m not crazy about the so-called Warren Buffett Retirement Portfolio, or investing 90% of one’s savings in a Standard & Poor’s 500 index fund and the remaining 10% in short-term government bonds. I don’t doubt that a 90-10 mix of stocks and bonds can support a retiree over a long retirement without running out of money. Indeed, research by a finance professor at Spain’s IESE Business School has shown that such a portfolio has held up very well over 30-year periods, assuming an initial withdrawal rate of 4% that’s subsequently adjusted for inflation. Nor do I doubt that such a portfolio will likely generate higher long-term returns than a more conservative one. But such a stock-heavy mix would also have some scary dips along the way. During the late 2007-through-early 2009 bear market, for example, a 90% stock index fund-10% short-term government bond fund portfolio would have lost nearly half of its value, assuming reinvesting dividends and capital gains but no rebalancing. So even though you could argue that a retiree who goes with a more conservative mix is probably giving up some extra return, I think many, if not most, retirees would be willing to make that tradeoff for less volatility. Call it the price for some extra peace of mind. Even if you decide to adopt the “no more risk than necessary” approach, however, there’s still the practical matter of how to do it. After all, it’s not as if we can so accurately predict the returns we’ll earn and the level of risk we must take to earn them that we can know in advance precisely which stocks-bonds mix will give us the gains we need with the least amount of risk. There are too many unknowns for such fine calibration, including how the financial markets will perform and whether we’ll actually react to market volatility and turmoil the way we think we will. But if you go to a tool like T. Rowe Price’s Retirement Income Calculator and plug in such information as your age, the value of your nest egg and how long you need your savings to last (the tool’s default is to age 95, which I think is sound given today’s longer lifespans), you can at least come away with an idea of how likely varying mixes of stocks and bonds are able to support different levels of withdrawals throughout retirement. Knowing that, you can then decide which stocks-bonds mix, or level of risk, is appropriate for you. And in fact if you go through this exercise, you’ll find that as long as you limit yourself to a reasonable withdrawal rate—say, a initial 3% to 4% plus annual inflation increases, assuming you want your nest egg to last 30 or more years—a pretty broad range of stocks-bonds allocations will allow you to draw that level of income from your portfolio with a relatively high level of assurance that you won’t run through your savings prematurely. For example, assuming an initial withdrawal rate of 4%, or $40,000 on a $1 million nest egg, the tool estimates that stock allocations ranging from as little as 30% to as much as 70% would all have roughly an 80% chance of supporting that level of withdrawals plus inflation increases for 30 years (although the portfolios with more stock exposure would also likely generate higher returns and thus have larger balances later in retirement). So does this mean that if you want to take no more risk than necessary you should simply pick the portfolio with the lowest stock exposure, 30% or whatever, that’s projected to generate the income you’ll need? Not necessarily. What if despite creating a retirement budget you underestimate your basic living costs or end up facing expenses you hadn’t anticipated at all, thus finding you need to draw more money from your portfolio than you anticipated? In such a case the most conservative portfolio could fall short of providing the income you’ll need. And let’s not forget that we’re dealing with forecasts and projections here, not certainties. If returns come in lower than expected—and many investment pros warn that given today’s low interest rates and lofty stock valuations returns could be much lower than historical averages in the decades ahead—a portfolio too light on stocks may not yield the returns required to generate adequate income throughout retirement. All of which is to say that when devising your retirement investing strategy, you want to be flexible. Maybe you invest a little more in stocks than you otherwise would while still maintaining an acceptable level of risk just in case it turns out you need a bit more growth to ensure you’ll be able to maintain your living standard throughout a long retirement. 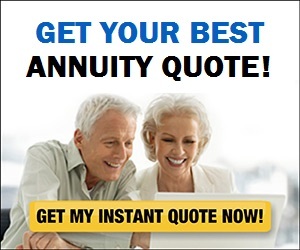 Or perhaps you consider devoting a portion of your savings to an immediate annuity or a longevity annuity so that you know you’ll have a guaranteed level of income in addition to Social Security that you can count on even if your retirement portfolio doesn’t perform as well as you expected. Whatever mix of stocks and bonds you decide on, remember that you’ll still want to track the value of your nest egg and adjust the size of your withdrawals if necessary. 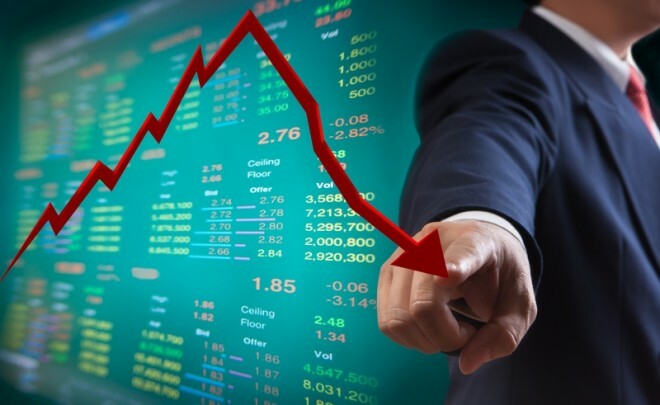 If a market downturn has significantly depleted the value of your savings, you might want to scale back withdrawals or forgo inflation increases a few years to give your portfolio a chance to recover and to avoid running through your savings too soon. If, on the other hand, a soaring market has substantially increased your nest egg’s value, you might want to boost withdrawals for a few years, lest you end up with a big pile of assets late in life along with regrets you didn’t spend and enjoy yourself more early in retirement. Of course, there are valid reasons someone may wish to invest more aggressively than is necessary in retirement. For example, retirees who aren’t relying heavily on their nest egg for retirement income might prefer to lean a lot more toward stocks so they can leave a legacy for their heirs. I suspect most retirees, however, will be better served by a strategy of taking no more risk than they have to, as long as they also understand they’ll probably have to be flexible about how they pull that strategy off.